There's no place like home--and that's a fact. That's why i chose to start with our very own Batangas' lomi. A really short and sweet description: Perfect! If a visit to Batangas City is on your schedule itenerary, the best place to enjoy this local specialty is in Butch. An easy-to-go-to location is just along the national highway around 10-min drive from the Star Tollway exit in Brgy. Balagtas. Butch is a a resto-bar in Alangilan, Batangas City. It's relaxing ambiance will definitely embrace you. What I love the most are the kubo-kubo (huts) and the fountain in the middle of the area. Pardon me as I do not exactly know the whereabouts of it with its "peak hour" because I do enjoy being there when the sun is about to kiss the other side of the earth. Platter dishes, affordable beer prices, well that's all-in. But those are just a bonus to expect. 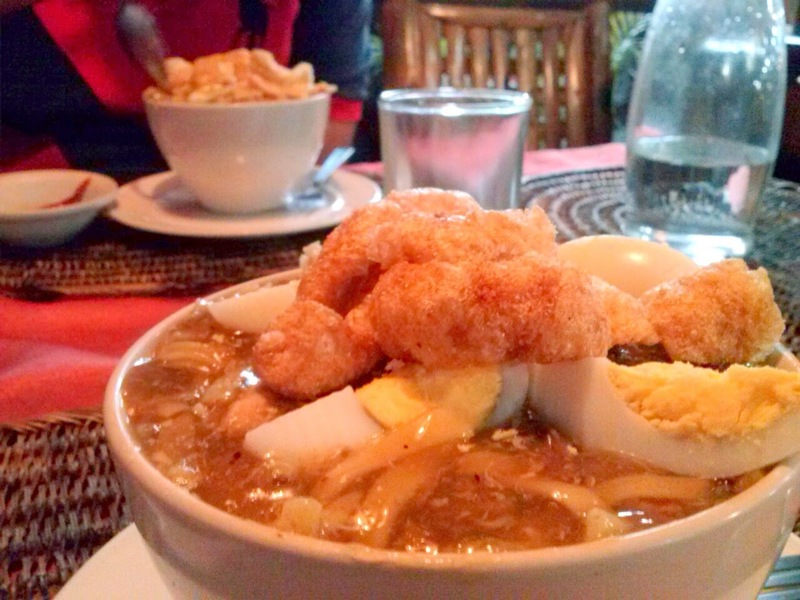 Their mouth-watering lomi is still the first on my list. For just Php70 (as of this writing), it's oozing with chicharon, liver, eggs, meat slices up to the last spoonful of your enjoyment. One of my validation of aiding my satiety is the unexpected sweating. Hoorah! That's pretty delicious! Best partner would be a Php90-peso litro iced tea (good for 2-3 pax). I won't say much as I might spoil the surprises Butch may offer to you. Just got two words to leave you guys: Try it! kaso ndi ba mxadong oily yang version ng lomi jan? plus nilagyan ng chicharon... mouth watering ..